China’s vast foreign investment program comes at a sharp cost to human rights and good governance. Great power competition is back. And China is now combining its vast economic resources with a muscular presence on the global stage. One of Beijing’s key efforts is the Belt and Road Initiative, a trillion-dollar endeavor to link together Asia, the Middle East, Africa, and Europe through a web of mostly Chinese-funded physical and digital infrastructure. Much of Washington has fretted over China’s mercantilist approach to economics in general and views the Belt and Road Initiative largely through this lens. Yet the concerns over Beijing’s current approach should go beyond dollars and yuan. By fueling debt dependency, advancing a “China First” development model, and undermining good governance and human rights, the initiative offers a deeply illiberal approach to regions that contain about 65 percent of the world’s population and one-third of its economic output. The hype surrounding the Belt and Road Initiative — Chinese President Xi Jinping’s signature initiative on the world stage — has recently shifted into overdrive. In China’s domestic politics, support for the project has come to signify loyalty to the country’s president-for-life. 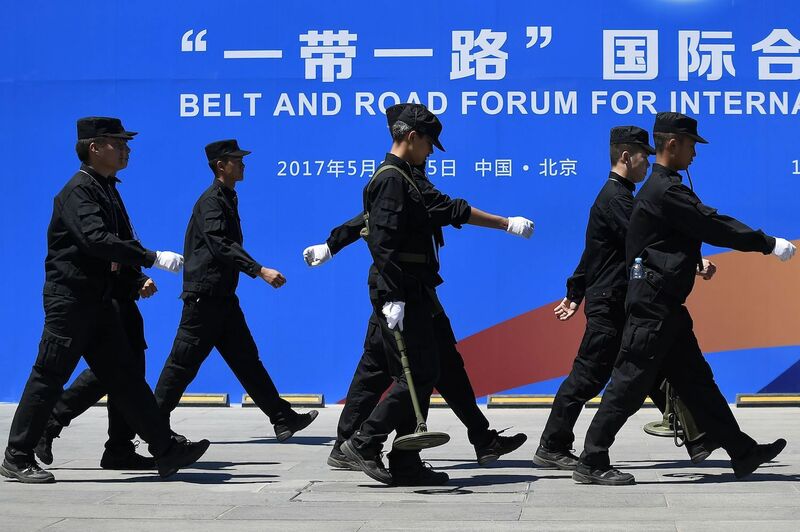 At the same time, the Belt and Road serves as an overarching narrative into which Beijing can fit its foreign economic policy in regions as disparate as the Arctic and Latin America. Yet the initiative’s rhetoric and branding should not obscure its core aim: to access markets and project influence and power throughout Eurasia and the Indian Ocean rim. And China has already dedicated significant resources to the effort: Estimates put total Belt and Road-related construction and investment at more than $340 billion from 2014 to 2017. The United States cannot ignore the Belt and Road Initiative. The offer of financing and other assistance addresses a very real need in many countries for roads, ports, railways, telecommunications networks, and other infrastructure. And given that many see no credible alternative on offer, straight-out American opposition is bound to fail. Instead, the Trump administration should try to shape the project, where possible, through a combination of engagement and pressure. At the same time, it is imperative to counter the initiative’s most illiberal elements. This means advancing a free, open, and sustainable model of development, fostering political resiliency in select countries, launching a new digital development fund, and more. Undertaken in concert with U.S. allies and partners, these kinds of moves will not demand massive new resources. But absent steps like them, Belt and Road-fueled illiberalism will spread across the globe unchecked. To understand how the Belt and Road Initiative can threaten human rights and good governance, consider first how its projects are financed. Thus far, China has largely favored loans over grants. It is not a member of the Paris Club of major creditor nations, and it has shown little inclination to adhere to internationally recognized norms of debt sustainability, such as the sovereign lending principles issued by the United Nations Conference on Trade and Development. At the same time, many of the recipient countries participating in the project lack the capability to assess the long-term financial consequences of China’s loans — or they may simply accept them, assuming the bills will come due on a future government’s watch. Ballooning, unsustainable debt is the predictable result. Sri Lanka, where in 2017 some 95 percent of government revenue went to debt repayment, represents the best-known example of Belt and Road’s negative impact on a country’s balance sheet. But Sri Lanka is only the most prominent case; a recent study by the Center for Global Development identified eight countries — Djibouti, the Maldives, Laos, Montenegro, Mongolia, Tajikistan, Kyrgyzstan, and Pakistan — that are at particular risk of debt distress due to future Belt and Road-related financing. Naturally, large government-backed loans to foreign countries come with political strings attached. The potentially destructive international economic consequences of failing to make repayments breeds long-term dependence on China and expands Beijing’s influence. As a result, recipient countries will find their foreign-policy choices constrained — even if future governments seek to exit Beijing’s orbit. Sri Lanka is again a case in point. There, the government of Maithripala Sirisena inherited a mountain of Belt and Road-related debt from its pro-Chinese predecessor and, despite a clear desire to move closer to India and the United States, had no recourse but to engage in a debt-for-equity swap with China. The deal left Beijing with a 99-year lease on the strategically located port at Hambantota. The Belt and Road Initiative provides a vector through which China can exert influence well beyond countries’ foreign-policy choices. The geographic expanse covered by the initiative includes many nations with high levels of corruption, and with domestic institutions that range from fragile democracies to full-blown autocracies. With Chinese companies being generally less transparent than their international peers, and with Beijing’s zeal to curb bribery and corporate malfeasance limited to its domestic economy, a massive influx of Chinese funds into countries with weak governance is likely to exacerbate ongoing corruption problems. And given that some projects are clearly linked to geopolitical objectives — like gaining control over commercial assets with potential military uses — Beijing may well employ graft to ensure that foreign political elites look favorably on its offers. China’s planned development of a “new digital Silk Road” has received comparatively less attention than other elements of the initiative but is equally troubling. 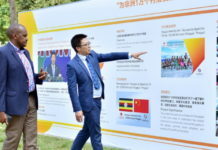 China’s digital blueprint seeks to promote information technology connectivity across the Indian Ocean rim and Eurasia through new fiber optic lines, undersea cables, cloud computing capacity, and even artificial intelligence research centers. If realized, this ambitious vision will serve to export elements of Beijing’s surveillance regime. Indeed, Chinese technology companies already have a track record of aiding repressive governments. 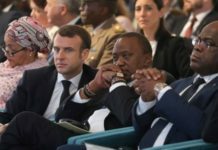 In Ethiopia, likely prior to the advent of Belt and Road, the Washington Post reports that China’s ZTE Corporation “sold technology and provided training to monitor mobile phones and Internet activity.” Today, Chinese tech giant Huawei is partnering with the government of Kenya to construct “safe cities” that leverage thousands of surveillance cameras feeding data into a public security cloud “to keep an eye on what is going on generally” according to the company’s promotional materials. Not all elements of China’s domestic surveillance regime are exportable, but as the “New Digital Silk Road” takes shape, the public and online spaces of countries along it will become less free. Beyond fueling corruption and enhancing surveillance, the initiative will stifle free speech, at a minimum by strengthening Beijing’s ability to silence criticism. States financially beholden to China will become less willing to call out Beijing’s domestic human rights abuses, for instance, and less eager to object to its foreign-policy practices. This dynamic is already playing out within the European Union. In mid-2017, for the first time, the EU failed to issue a joint condemnation of China at the U.N. Human Rights Council. Greece, which had recently received a massive influx of Chinese investment into its Port of Piraeus, scuttled the EU statement. Other cash-strapped democratic governments, when confronting the choice between Belt and Road’s immediate – even if one-sided – economic benefits and the need to defend human rights globally, may well follow Greece’s example. Similarly, companies dependent on the Chinese market are already acquiescing to Beijing’s demands – such as by firing an American employee who “liked” a pro-Tibetan independence tweet – and by self-censoring, as in the efforts by some Hollywood producers to ensure that films contain no lines (supportive of Tibet, say, or critical of Xi Jinping) that might arouse anger within the Chinese Communist Party. As the initiative extends its reach, it is easy to imagine government officials feeling similarly compelled. China’s Belt and Road-related activism leaves the United States in a bind. Lacking additional billions of dollars in government-directed funds, a raft of state-owned enterprises, or well-capitalized banks linked to the government, Washington cannot simply outbid Beijing. Nor should it try to do so. Virtually no country would sign on to an “us or them” approach to the Belt and Road Initiative even if the United States were to offer such a stark alternative, and inducing infrastructure-strapped countries to “just say no” to Chinese funds is a tough sell. The best course for Washington is to offer a positive vision of physical and digital connectivity while taking concrete steps to limit the initiative’s most illiberal effects. The Trump administration is off to a rhetorical start with its invocation of a “free and open Indo-Pacific,” to which it should couple a “free, open, and sustainable” model of development in that region and beyond. Drawing an implicit distinction with Belt and Road’s debt-fueled focus on hard infrastructure generally constructed with Chinese workers, the United States, together with other democracies such as Japan, European nations, and India, should advance an alternative approach. It should emphasize local capacity-building, the transfer of skills, responsible financing, quality, and innovation. These elements should become the watchword of the free, open, and sustainable model. Although some governments willingly take on unsustainable debt to finance Belt and Road projects and channel contracts to Chinese companies behind closed doors, others simply lack the technical capacity to assess debt repayment and the long-term costs associated with specific infrastructure projects. The United States, working with its allies and partners, can play a critical role in helping to develop the human capital necessary to adequately determine whether a country should take on a Belt and Road project. This would include such mundane but important efforts as building technical financial assessment capacity, training procurement officials, and enhancing the project management skills of government officials. The United States should also double down on its international support for democracy, civil society, and rule of law. Transparency, domestic checks and balances, and a free press can function as powerful impediments to the sort of corrupt backroom deals that leave China with enduring financial leverage and receiving governments with a long-term debt hangover. Even modest efforts in nondemocratic countries — to train investigative journalists, for example, or to strengthen the capacity of civil society organizations — may constrain China from pursuing the most one-sided Belt and Road deals. Information technology connectivity is the one area in which the United States should most actively compete with China. Working with Europe and Japan, Washington could establish a dedicated development fund under the umbrella of the Organization for Economic Cooperation and Development that would finance digital development projects. Such a fund should only support companies that are committed to globally recognized rights of freedom of expression and privacy and that agree to an independent third-party audit of its software and hardware exports. In March 2000, then-U.S. President Bill Clinton channeled the prevailing wisdom about China in pressing for approval of permanent normal trade relations with Beijing and its admission to the World Trade Organization. “Bringing China into the WTO,” Clinton said, “doesn’t guarantee that it will choose political reform.” Nevertheless, Clinton argued, “the process of economic change will force China to confront that choice sooner, and it will make the imperative for the right choice stronger.” The notion that borders open to trade and investment were bound to allow in liberal ideas struck many policymakers as entirely logical. But that was an illusion. A richer and more globally connected China has not become a more democratic one — instead, Beijing’s economic strength now allows it to spread its own illiberal values to other countries. Nearly two decades after China’s entrance into the world economy, it is up to U.S. President Donald Trump to ensure that the illiberal values China is exporting under the guise of the Belt and Road Initiative do not take root across the globe. Daniel Kliman is the senior fellow with the Asia-Pacific Security Program at the Center for a New American Security, and until July 2017 served at the U.S. Department of Defense.